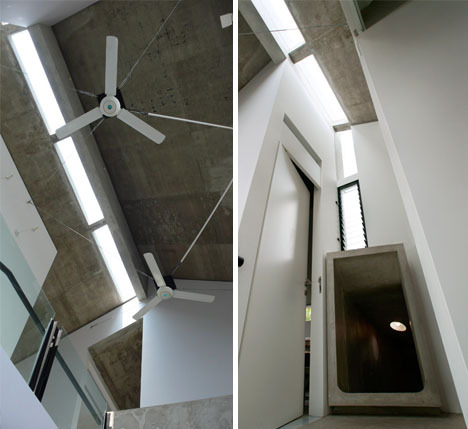 SAEBA.COM: Fun House: Skip Stairs & Take a Two-Story Concrete Slide! 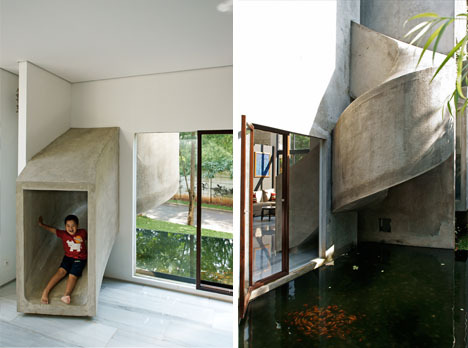 Fun House: Skip Stairs & Take a Two-Story Concrete Slide! 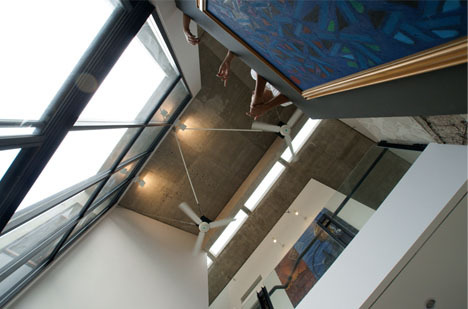 Concrete and white are tell-tale signs of modern style, but the introduction of some playful elements turns this otherwise-contemporary home into something dramatic, different and more child-friendly than most. 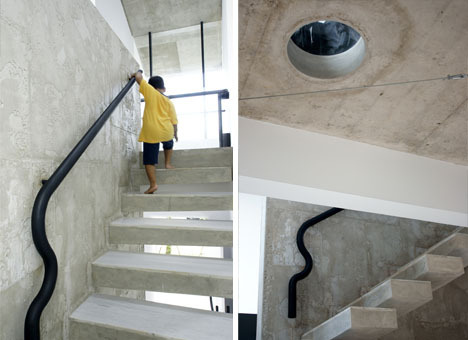 A curious playhouse in Indonesia by Aboday Architects, the home deals with issues of a strange, small, and code-limited site but all of these potential setbacks were taken in stride during the design process. 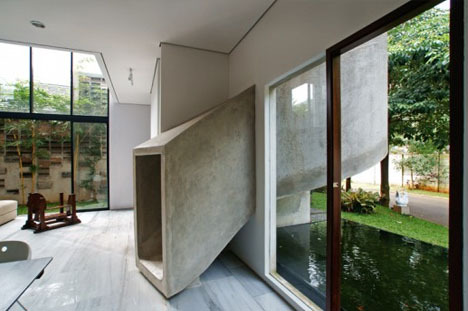 Arguably the core creative design move is a concrete slide which spirals down from the second floor study to a first floor living room area – great for kids, but big enough for adults too! The asymmetrical composition of interior elements as well as creative design details (such as a snake-like handrail in the primary staircase) twist typically boring materials and bland colors together in engaging ways. 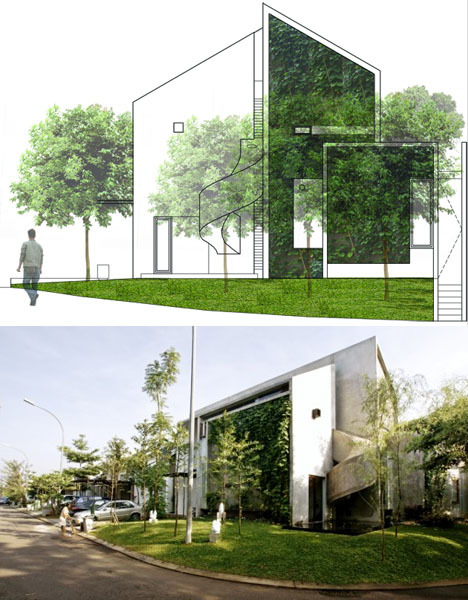 Vertical green climbers, slotted skylights and other exterior details serve to provide access to both daylight and plant life on both stories of the house.